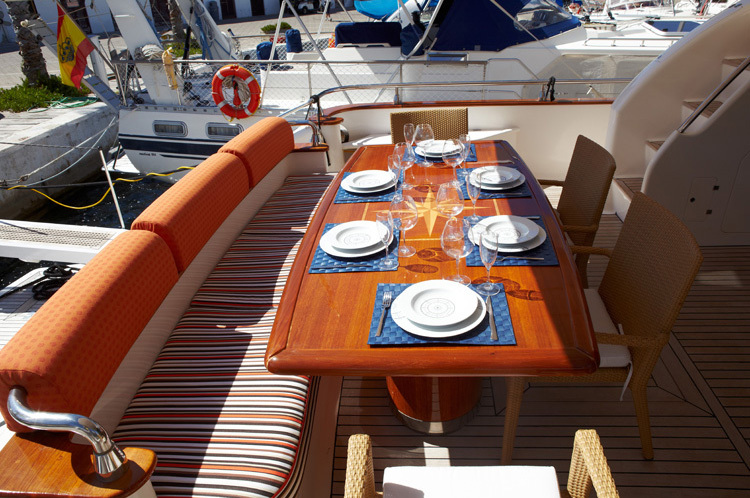 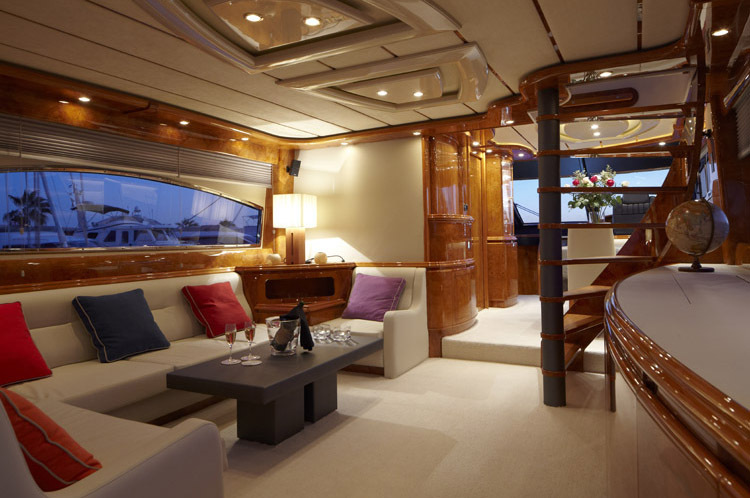 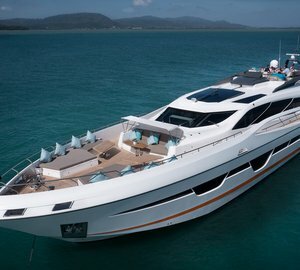 Motor yacht DOLCE VITA was built in 2001 by the Spanish shipbuilders Astondoa and underwent an extensive refit in 2012. 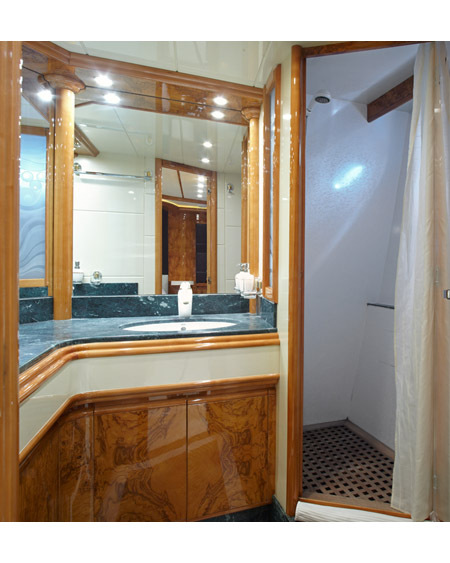 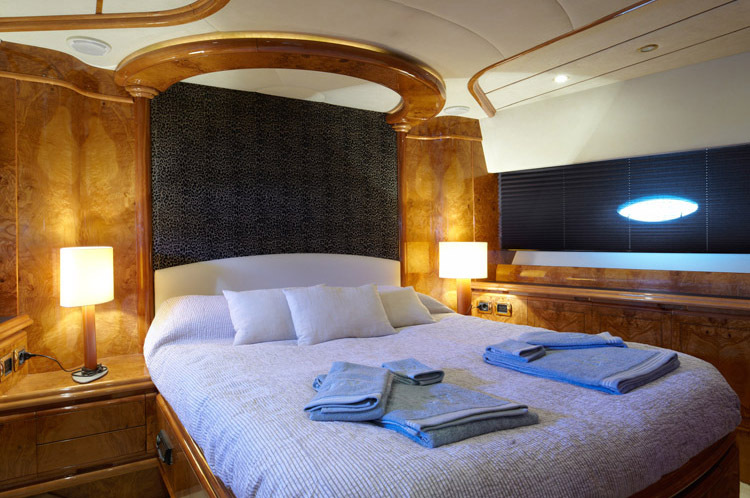 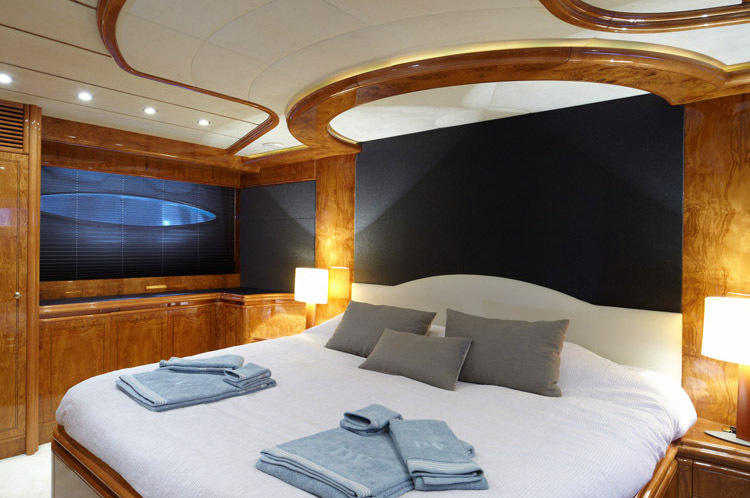 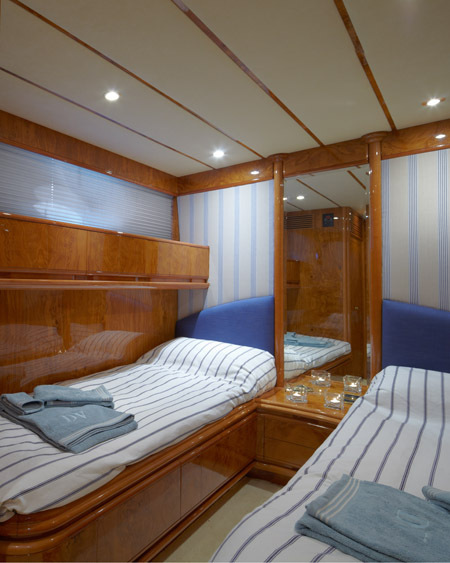 Measuring 22.35m (73.4ft), M/Y DOLCE VITA can accommodate up to 8 charter guests, in 4 en-suite cabins. 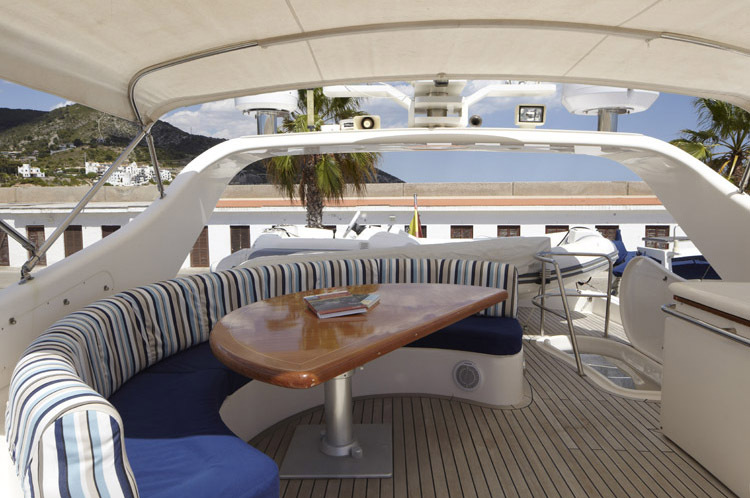 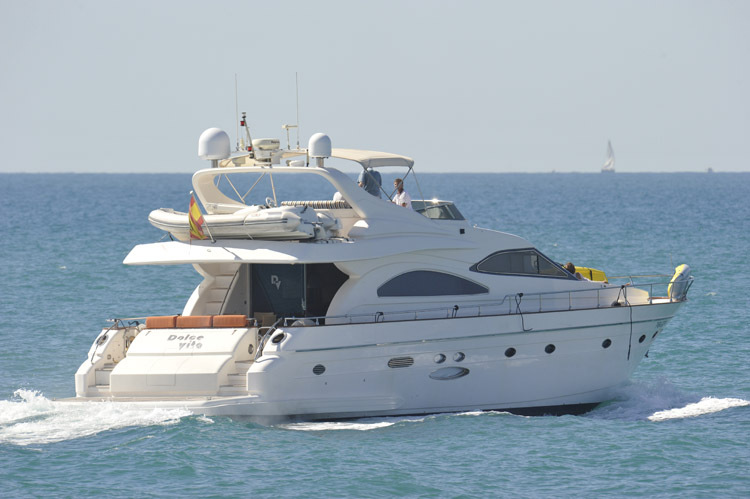 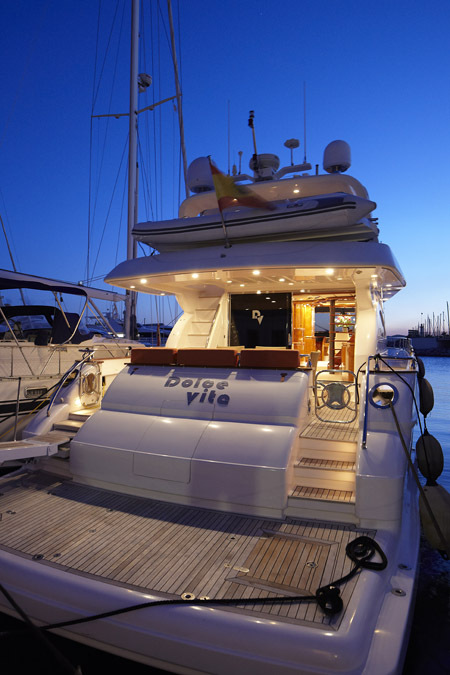 Available for crewed yacht charters in the Balearics, the DOLCE VITA motor yacht is the perfect choice for families and friends, offering ample interior and exterior living and a fabulous array of entertainment options. 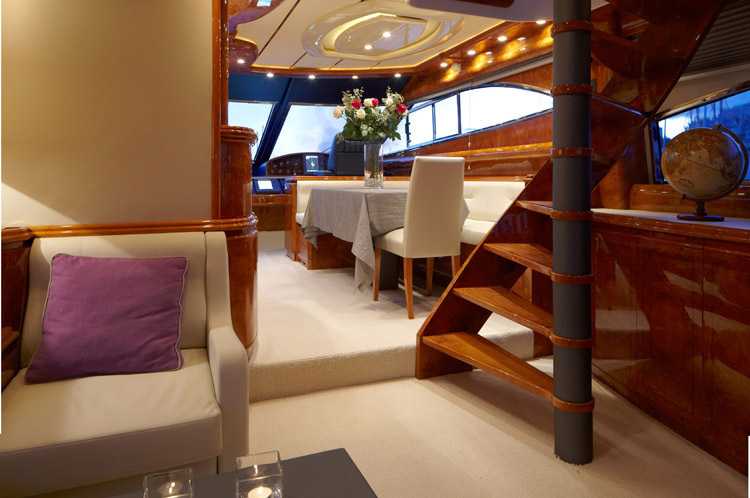 Powered by twin MAN 1800hp engines, the crewed charter yacht DOLCE VITA’s planing hull glides along the seas at 25 – 30 knots.